Today's March is for Making Series bring inspiration from Laurie Williams from Newbury Elementary. 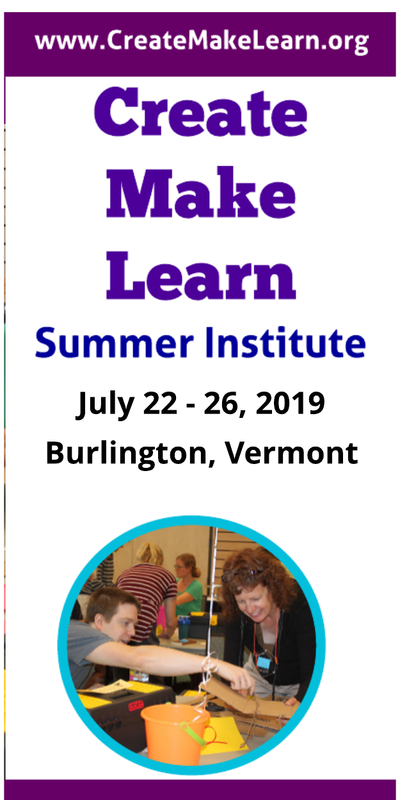 Laurie is a super creative librarian and tech integrationists from a small rural school in Vermont! Every time I turn around I hear of a new way that Laurie is providing the students and teachers of Newbury schools innovative learning opportunities. Thank you Laurie for sharing some of the innovative ways you are connecting making to curriculum in today's post. The idea of a Makerspace/Tinkerspace at my K-6 school is one that has long been on my mind. As the teacher librarian and tech integrationist, I’m in the perfect role to create one. I’m always collecting resources of all kinds. You know you are working on resource collection for a Tinkerspace when a bag of paper towel rolls sets your heart aflutter. Oh the possibilities! But as important as it is to collect (free) resources, cultivating collaborators is even more vital. 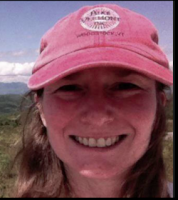 At this point, Kelley Houde, a 3/4 teacher at Newbury Elementary School (NES), should by rights turn and run when she sees me coming. But even after six years together, she still stops to hear me out when I say, “so, I hear you are working on such-and-such...I have an idea!” We’ve mastered the art of the Five Minute Collaboration. Partly it’s because her room is right next to the library and she can’t get past my windows. Mostly it’s because she’s got just as many ideas about how to integrate literacy, makerspace, and STEAM as I do. But more than anything, we both believe in not only the value of Maker/STEAM initiatives but in the potential unleashed when Maker/STEAM projects directly link to and support her classroom curriculum and activities. This year, we are looking forward to April and National Poetry Month. Each year, Mrs. Houde’s Owls host the incredibly popular NES Poetry Slam. The Owls read the poems they wrote during their poetry unit as well as invite others in the school to share poems, too. 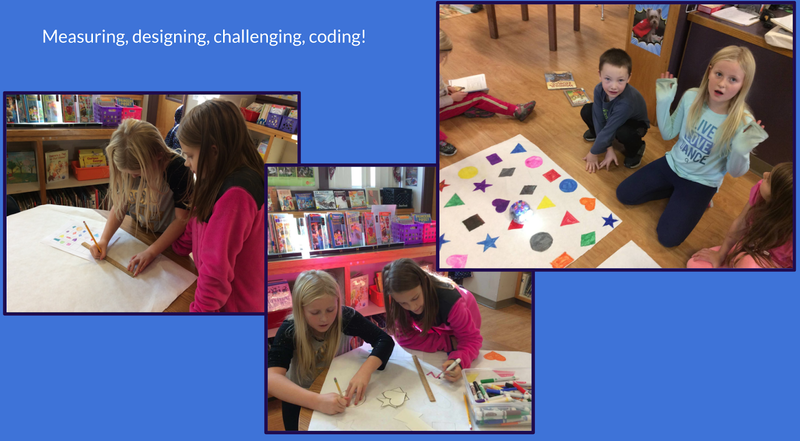 It is always a huge success, and this year, well, Mrs. Houde and I have figured out some ways to try to bring Making into the mix! At the 2017 Dynamic Landscapes conference, I got to spend an hour with the amazing Jill Dawson learning about paper circuits. This year, the Owls studied electricity and circuits. So...guess what we’ll be doing with some of their poems? Lighting them up! Each Owl will select a poem and create a drawing based on that poem that we can light up with one or two LEDs. Early sketches include lighting up two corn cobs (yellow LEDs), a hamburger with lettuce (green) and ketchup (red), and a sunrise over tree using red and orange. The students are so excited to see this connection between their science and literacy units. To me, this deep connection is what Making is all about! 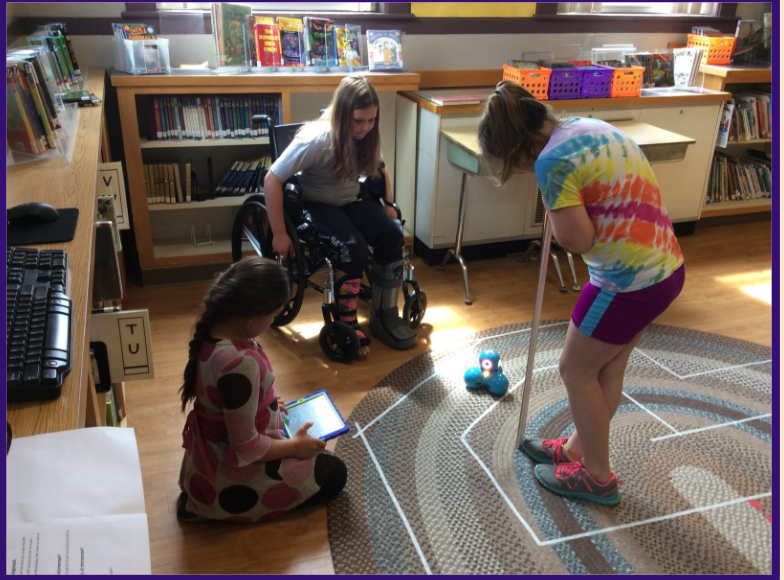 Poems for Two Voices...with the robots Dash & Dot! One style of poem that is always popular with the Owls is the Poem for Two Voices. Friends collaborate to create a poem they both read together, making it a lesson in creativity and collaboration. This year, we plan to make it a lesson in coding as well. Students will be invited to write a Poem for Two Robot Voices: our friends Dash & Dot. What messages might robots want to share? What might we want to share through them? How do we code that? Are there time limits? How do our voices need to adjust when recorded? When might the robot “performance” best fit into the overall Poetry Slam schedule? 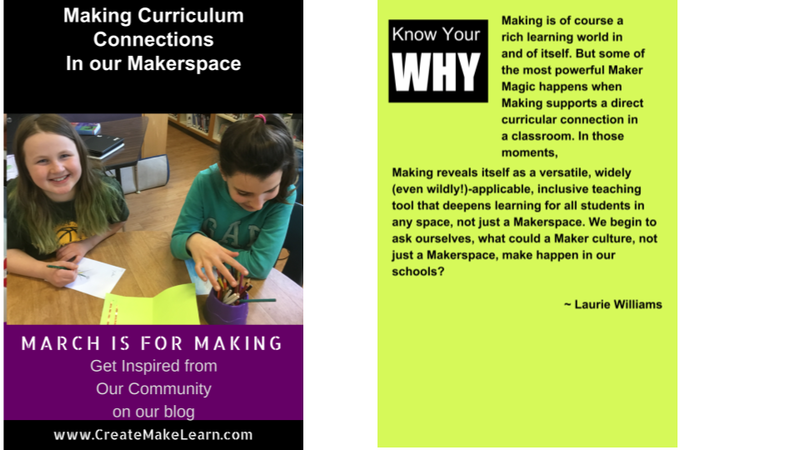 Each and every time Making and classroom curriculum are connected we take a step toward a Maker culture in our school. Part of my hesitation with creating an official Tinker/Maker space in my Library is my belief that it is a “space” that all classroom teachers deserve to have in their own classrooms. How can I facilitate that for them instead of focusing on the Library? They have so much on their plates, with more added daily. 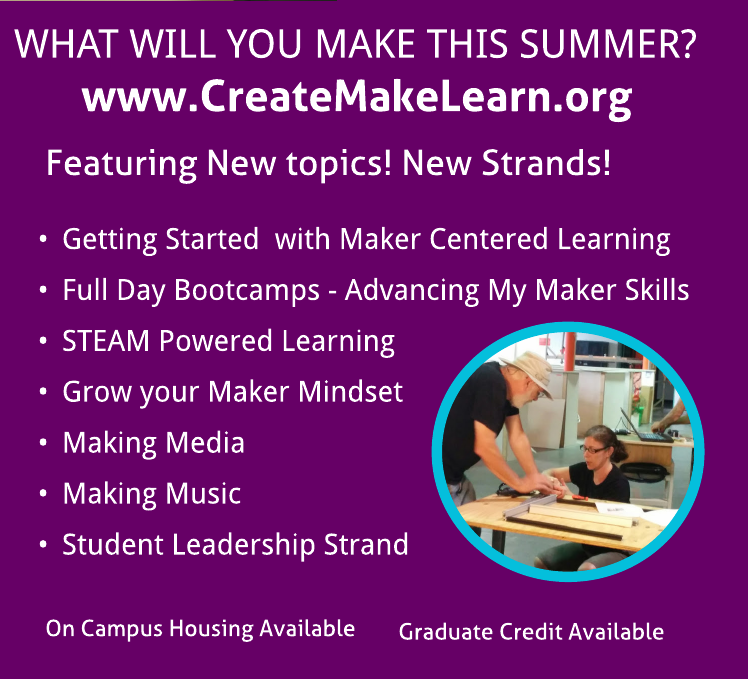 How can I facilitate a Maker culture that helps them achieve curriculum goals, boost student buy-in, and create some zesty energy? That’s some of the connection I love to MAKE! Here is a slideshow with a few more connections.